Oberon's used to solving supernatural crimes, but the latest one's extra weird. 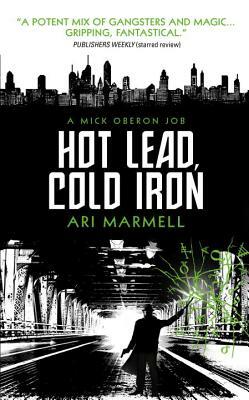 A mobster's daughter was kidnapped sixteen years ago, replaced with a changeling, and Mick's been hired to find the real child. The trail's gone cold, but what there is leads Sideways, to the world of the Fae, where the Seelie Court rules. And Mick's not really welcome in the Seelie Court any more. He'll have to wade through Fae politics and mob power struggles to find the kidnapper – and of course it's the last person he expected. Ari Marmell is a fantasy and horror writer, with novels and short stories published through Spectra (Random House), Pyr, Wizards of the Coast, and others. He is the author of role-playing game materials for Dungeons & Dragons and the World of Darkness line, as well as the tie-in novel to the hit video game Darksiders. He lives in Austin, Texas with his wife, George.